The Holidays are always special and I enjoy shopping but sometimes trying to buy just the right gift for someone I love can be a challenge. My daughters are easy and at their age the wrapping is still the most exciting part so for them so its really no challenge. My teenage nieces want money so once again that gift choice may be boring but easy. I struggle buying for my parents. The older they get the less they need and my mom is always telling me not to buy them anything. Lucky for me my mom and dad both love pictures and thankfully I love to take pictures. 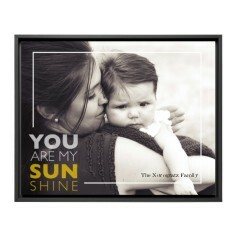 This year I was able to do a good portion of my shopping on Shutterfly. I have been a fan for a long time and make all of my daughter's scrapbooks from the site so when I was browsing for something for my mom I found a new product. 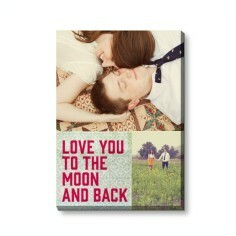 These table runners are new from Shutterfly and can be made to fit any taste. They have Holiday, every day and special occasion ones. I made the one on the left for my mom and it came in two sizes. The sizes I much appreciated because we purchased a new table for our new house and I haven't been able to find a table runner to fit the table. They have them for 7 and 8 foot tables so I am also ordering one for myself as my very own Christmas gift (from me to me). 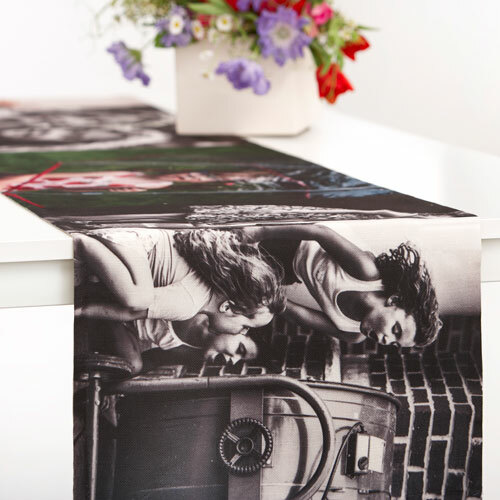 I couldn't resist an opportunity to put the beautiful faces of my daughters onto a table runner for myself. This one below is for me and my new table. 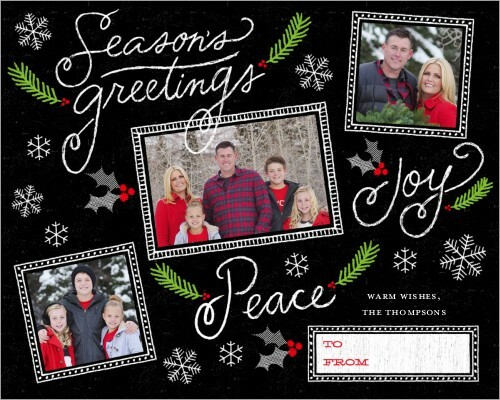 They had some great products this year so I was able to order for my mom, my sister-in-law and my Christmas cards all in one place. I plan to go back after Christmas and do some shopping for the new house. Also, I am not at all humble when it comes to my daughters and feel their faces should be put on many items. I barely restrained myself when I saw that you could personalize wrapping paper. Christmas 2015 will have a new look under the tree for our family..and I can't wait. Well shop on shoppers, you can find some really great and special gifts for someone you love. 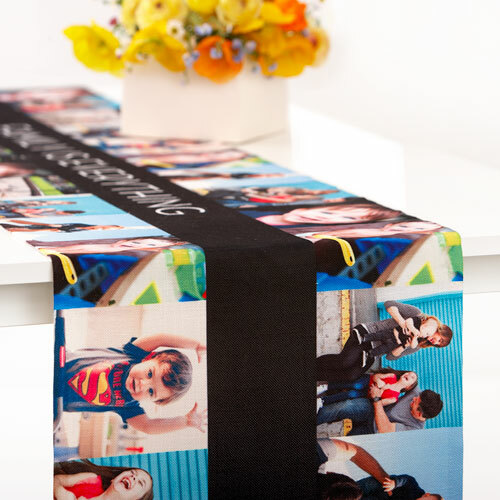 I can't wait to give my mom her table runner filled with pictures of our family. I have to say that this is not a sponsored post, I just really love the company and with all the new products its really easy to make something unique. I can't wait to shop in January when the craziness of the holidays has slowed down and I have time to design me some wall art!